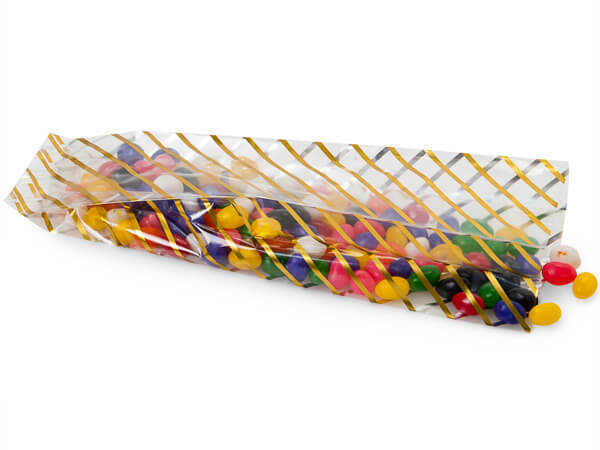 2 x 1.75 x 10" 2.75 x 2 x 11.5" 3.5 x 2.25 x 12.25"
Gold Stripe Cello Bags are excellent for gourmet food items like nuts and candies. Look elegant in gift baskets as well. Note: Gold color varies slightly in shade from run to run. Made in the USA.